In October of 2017, I had the opportunity to travel with 7 other comrades on an Agroecology Exchange to South Africa. This Exchange was a continuation of a process that had initiated in 2015 which was the same year that I was introduced to the US Food Sovereignty Alliance. Although there was much traveling, it was an amazing experience to see and learn from farmers, farmworkers, activists, and people in the community who are struggling due to the current food system. During the trip, I had the opportunity to interpret for another delegate and feel the dynamic of how language is not a barrier to being able to relate across seas. The experience interpreting allowed me to relate and connect both with people in South Africa as well as to the stories that were shared with me from my same culture since I share a similar background to the delegate I was interpreting for. 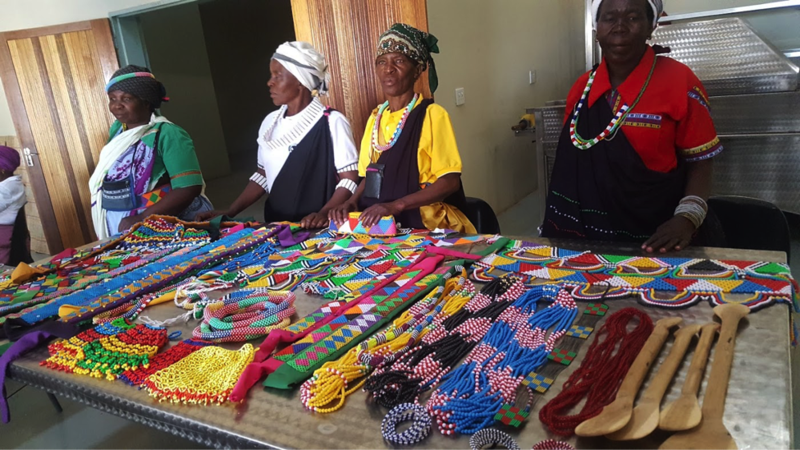 During our visit to Limpopo, members of the Mopani Farmers Association put together a cultural event just for us and once again, I felt the connection through dance and music despite our different backgrounds. It brought so much to mind for me: from appreciating the work that I am doing to learning more about my own culture from which at some point I have felt very disconnected. 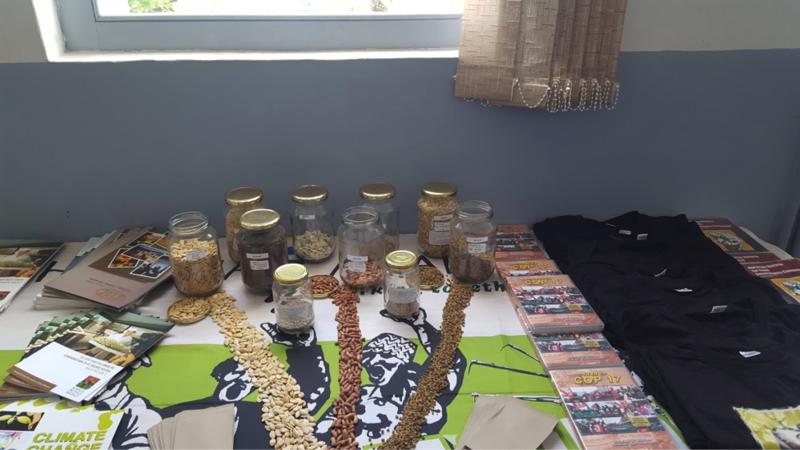 When we arrived in Citrusdal, Cape Town and were hosted by the Surplus People’s Project, we honored International Rural Women’s Day through participating in a Day of Action for Food Sovereignty, and an assembly for the International Day of Eradication of Poverty. As members and allies of the US Food Sovereignty Alliance, we participated on the last day and had the opportunity to share about our experiences and also had the chance to be part of a panel discussion, where we had both Farmer and Farmworker delegates sharing their stories. Among those on the panel were member organizations from The Agrarian Reform for Food Sovereignty Campaign. It was amazing to see how even though we joined these organizations on the last day of their three-day meeting, we were easily able to engage because our struggles are very similar. We were also very welcomed to engage when we participated in a meeting with Urban Farmers in Cape Town, and again, we identified some of the same issues that are affecting us although we are from two different countries. Based on the work I do at the ground level as the Food Justice Coordinator with CATA- El Comite de Apoyo a Los Trabajadores Agricolas- or the Farmworkers Support Committee, I was able to connect with the work of farmworkers in South Africa. CATA is a farmworker organization that has been working to improve workers’ conditions for quite some time. 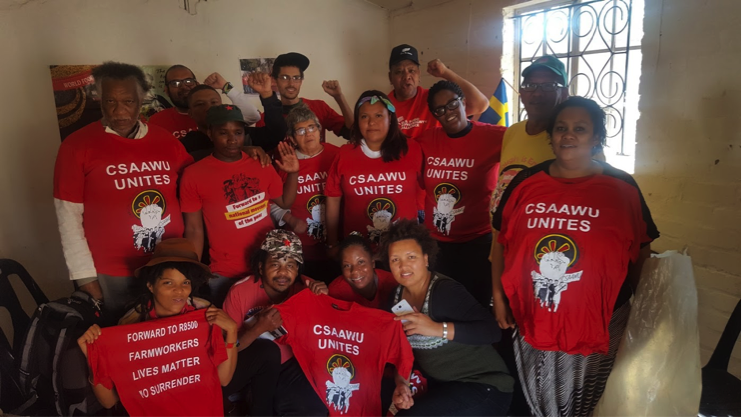 During our stay in the Western Cape, we had the opportunity to be in dialogue and hear the stories of farmworkers with the CSAAWU [Commercial, Stevedoring, Agricultural and Allied Workers Union] and the Rural Legal Center. The farmworker struggle is universal: as we were listening and learning about their experiences, it only reminded me of the struggles farmworkers face here in the USA. There are many parallels that vary from exploitation of work, intimidating the worker who speaks up, not acquiring proper health care when injured, discrimination, etc. At CATA, we work with migrant farmworkers and the immigrant community many of whom are from Mexico and Central America. We see many injustices in their work lives but also their everyday lives. I am hopeful that we can create a global movement where farmworkers are on the frontlines advocating and fighting for a dignified life. Seeing the perspectives of farmers as well as from farmworkers during the exchange was really important and I am very grateful for this opportunity. In order for us to change our current food system that is harming us all as people, small-scale farmers and farmworkers are essential to this process. During our stay in the Western Cape Region, we learned a chant that was shouted on various occasions and I would like to share with you all. It was a call and response type of chant. Someone would shout AMANDLA! with their fist held high. Amandla is a Zulu and Xhosa word (2 of the 11 official languages in South Africa). Then, the rest of the crowd would reply with: AWETHU! 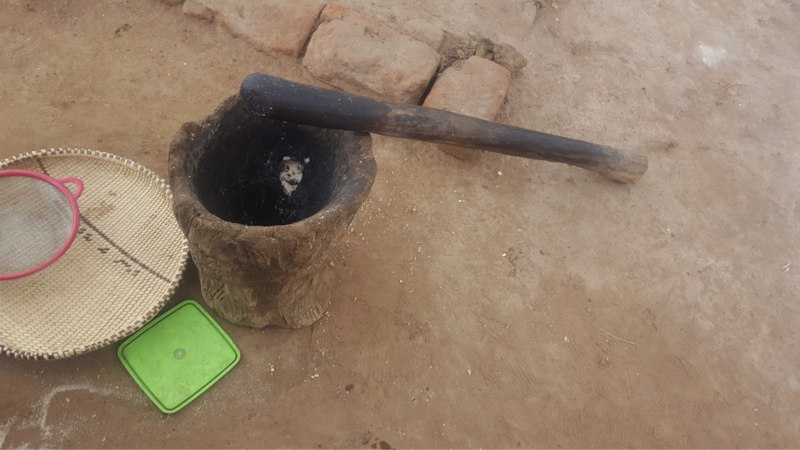 It is said that it was used during the days of resistance against the apartheid system. Amandla, meaning power, Awethu referring “to us” or the people.